Prior to World War II, England had a long tradition of free speech that extended to criticism of government policy during war and to campaigns for peace. William Pitt campaigned against the war with the American colonies; Charles James Fox (founder of the Liberal party) campaigned against the war with Napoleon; and David Lloyd George (later Liberal prime minister in World War I) campaigned against the Boer War. Henry Hyndman, a leading socialist of the time, also campaigned against the Boer War, denouncing it as a ‘Jews’ war’ run by the ‘Jewish international’ (Justice, August 1900). More recently, the leaders and members of the British Labour party strongly opposed the Suez War in 1956. 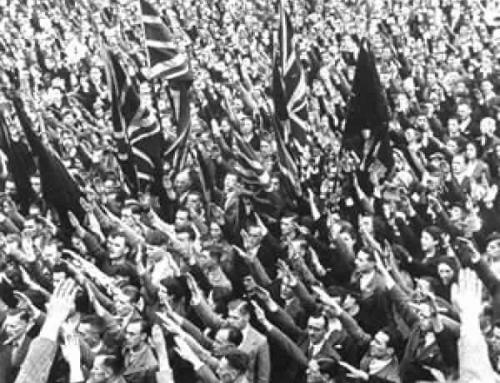 However, during World War II, Mosley together with some 800 of his leading followers and several hundred others were imprisoned without charge or trial because they were opposed the war. How did that come about? On 24 August 1939 (a week before Germany invaded Poland), an Emergency Powers Act was rushed through Parliament. The government was presumably confident that the quarrel between Germany and Poland would escalate into war, particularly after it had given a ‘blank cheque’ guarantee to an increasingly provocative Polish government. Four days later the first emergency regulations under the new Act were published, including the notorious Regulation 18B. This enabled the Home Secretary to detain any person he believed to be of ‘hostile origin or association’. 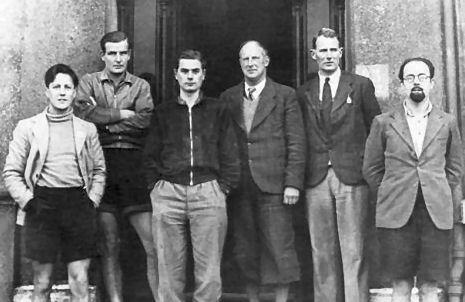 Young Blacklists fought with their fellow countrymen on the basis of ‘My Country, Right or Wrong’, even though they considered the war to be unnecessary and against Britain’s interests. The first British casualty listed in the war was a Blackshirt, Aircraftsman K G Day, who was killed in RAF raid on the second day of the war. Also among the ten crew lost in that raid was Aircraftsman G T Brocking, another Blackshirt. Both Day and Brocking were ground crew who had volunteered to be acting air gunners for the raid. 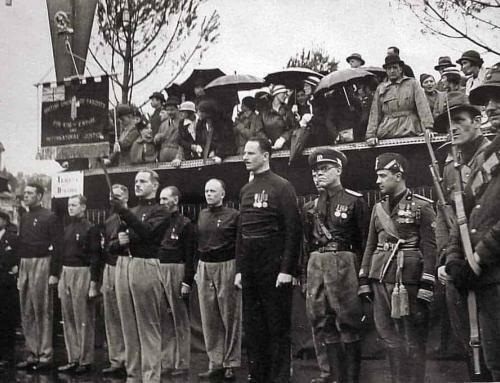 Altogether, over 1,000 of Mosley’s Blackshirts were killed in action during the war. Mosley, and other members of British Union who were not enlisted in the services, bravely continued their campaign for a negotiated peace, holding many public meetings. The war was opposed on the grounds that no British interest was at stake in Poland and a major war would lead (as it did) to the loss of the British Empire and the rise of Soviet communism in Europe. Only Britain and France intervened in the war. All other countries in Europe were unconcerned, as was the rest of the world. Although the British and French governments claimed to be fighting for Poland, their hypocrisy was soon exposed as war was not declared against the Soviet Union when it invaded Poland two weeks after Germany. Condition or not, Churchill and other warmongers in his Cabinet clearly thought it was a good idea to silence opposition and generally intimidate the people now that things were going wrong. As it happened, it seems that even 18B, as originally issued, provided insufficient grounds to imprison Mosley and his followers. Two Parliamentary sitting days after Labour joined the government (and four days after the Labour conference), a special amendment, Clause 1A, was rushed through Parliament. The amendment virtually allowed the Home Secretary to jail anyone he liked at his discretion, and the very next day the first arrests, including that of Mosley, took place. 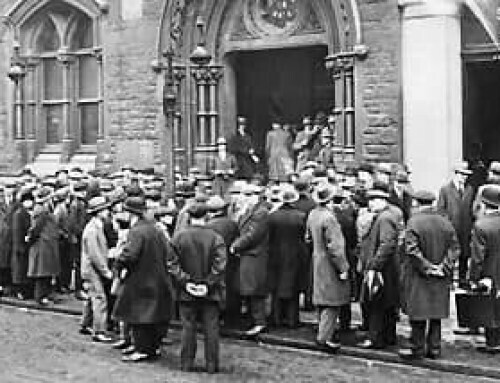 Apart from 800 members of British Union, several hundred others were arrested, including Admiral Barry Domville (former Chief of Naval Intelligence) and Captain Ramsay (Conservative MP for Midlothian). Both Domville and Ramsay had formed organisations (not connected to British Union) to campaign for peace. Among British Union members imprisoned were holders of every medal for valour which could be awarded to British servicemen except the Victoria Cross (one Blackshirt did hold the VC, but even Churchill shrunk from throwing him into jail). Some Blackshirts were arrested while serving in the Local Defence Volunteers and Civil Defence. Some Blackshirt servicemen rescued at Dunkirk were arrested back in England. One Blackshirt, an amateur yachtsman, was arrested immediately after returning from Dunkirk where he had helped to evacuate British troops. Men and women from all walks of life were rounded up. One notable victim was a farmer, Jorian Jenks, who was Prospective British Union candidate for Horsham, a pioneer of the ecology movement in Britain and later a founder of the Soil Association. “According to the Press, stories concerning the invasion of Britain are being circulated…. In such an event every member of British Union would be at the disposal of the nation. Every one of us would resist the foreign invader with all that is in us. 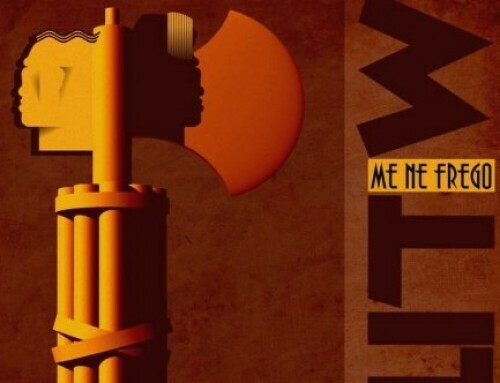 However rotten the existing government, and however much we detested its policies, we would throw ourselves into the effort of a United nation until the foreigner was driven from our soil. In such a situation no doubt exists concerning the attitude of British Union”. No acts of disloyalty could be proved against any of British Union’s members. They declared themselves in favour of a negotiated peace but that was a far cry from wanting Britain’s defeat. Mosley succeeded in establishing the real reason for his imprisonment at his hearing before the ‘Advisory Committee’ set up by government to consider appeals against internment. This was a whitewash operation designed to the false impression that there was some justice or legality involved in the mass arrests. In fact all members of the Committee (one of whom, at least, namely Anthony Blunt, was a real traitor) were appointed by the government and they had no power at all. The final decision lay within the complete discretion of the Home Secretary. The internees were initially sent to prisons, then to various concentration camps in England and the Isle of Man, where they languished for months and years at the whim of the Home Secretary, separated from family and friends, their lives and careers in tatters. Mosley himself was imprisoned for 3½ years and was only released when struck down with an illness which doctors certified would be fatal if he remained imprisoned. Many of the internees spent time in the notorious Camp 020 at Ham Common. This was a secret camp not disclosed to the International Red Cross, not surprisingly as it subjected its victims to long periods of solitary confinement and intense psychological torture in order to obtain ‘confessions’ or information. The hate campaign against the internees even continued after their release. No apologies have been made or compensation paid. Instead, the authorities imposed further losses where they could. Thus, civil servants, such as Andrew Burns, were deprived of their pensions in respect of the period of their detention. There seems no doubt, however, that many people involved in the operation of 18B against innocent people were deeply ashamed. This is evidenced by the fact that most public records relating to the detentions have been deliberately destroyed. When the records were released under the Thirty Year Rule, files of only 18 out of some 800 British Union detainees were made available. Initially it was claimed that they had ‘gone missing’. Then it was admitted that they had been destroyed as ‘of no historical interest’. Thus, it seems that the imprisonment of hundreds of political opponents in concentration camps in Britain, without charge or trial, is not a matter of historical interest to the Establishment. 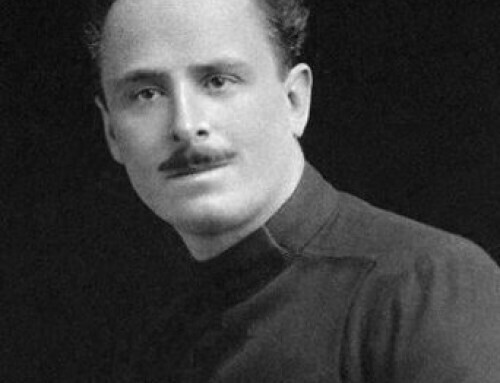 “I am not going to embark on a controversy as to whether Sir Oswald Mosley is an ordinary or extraordinary man, but we all agree that he was a very prominent man, and everybody in this country, and I suppose a very large number of people abroad, know him by name and know the sort of action which he took.